This is a technical journal : when any repair is made on engine cooling system, make sure that the volvo special tool p/n 9512957 coolant filling equipment is used, in order to prevent future over temperature damage on engine. This is a technical journal : if an engine still has a high level of oil consumption despite following tj30087, follow the actions described under service. This is a service manager bulletin : to further enhance the customer¿s volvo ownership experience, volvo car usa, llc announces the my 2013 ¿ my2016 volvo complimentary factory scheduled maintenance program usa. This is a service manager bulletin : to further enhance the volvo ownership experience, volvo car canada limited offered factory scheduled maintenance (fsm) on certain my14, 15 and 16 vehicles. Volvo: high ambient temperature driving conditions can cause turbo coolant return hose to reach high temperature, once vehicle has been parked. 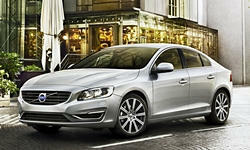 model 2015 s60, xc60, s80, sc70, v60. Volvo: one of adaption references values, during autocalibration, decreased in dem due to low current to oil pump and poor awd functionality, failure. Below error message may be shown in vida when selecting the software tab in vida. with this message, it will not be possible to purchase software products. "124 - client id is not registered"
This document is a technical journal: rse = rear seat entertainment this tj describes how to change the region code on the rse system with two dvd players and 8" touch screens if necessary. Alternative solution when vida is unavailable or the electronic wiring diagrams function in vida is unstable. access by using the applicable url. Vida users are not able to check operations & packages an error message will be shown saying "database error. please contact system administrator"
A new feature will be available in vida version 16.4 where by users will be automatically informed when their passwords are about to expire. the pop-up window example, in the attachment, will be shown 14 days prior to the expiraton date. This is a technical journal : this is an information tj to describe the correlation between the map version number, map software part number and map dvd part number in the sensus navigation system. Volvo: on some vehicles, in the central electronic module (cem), is a software deviation, affecting vehicles that have high stand by current that is draining battery and need an immediate upgrade. model 2014-2015 s80, xc60, s60, 2015 v60. Supplier service bulletin sent to customers regarding potential brake caliper issue. This document is a parts bulletin: please return stock of part number 31439968 thermostat to your servicing distribution center. This is a parts bulletin: wheel cross reference, used to assist in identifying the correct spare replacement wheel, by stamping, name and size. If the vehicle is equipped with indirect tire pressure monitoring sensors (i-tpms) (vdn codes: pu02, pu03, pu04), and there is a warning message in the dim about low tire pressure and dtc bcm-c007768, follow advice under service. Blisters/bubbles may appear on the air vent surfaces. the blistering of the material is often caused by an air freshener applied directly to the air vents. do not attach any sort of air freshener directly on air vents. This is a technical journal: it is provided as a guide for performing software downloads. follow instructions provided for proper software downloads by year and model. This is a technical bulletin : customer may experience that the function folding outer rear view mirror do not work and a noise is present when locking/unlocking vehicle. This is a technical journal : if a customer should complain of a ¿volvo on call service required¿ message and the dtc phmb116f09 is set intermittently or permanent in the tem3g module, please follow the below instruction under service. This is a technical journal : when performing the connection of the volvo on call mobile app to a sensus connect car, the setup procedure may fail due to an incorrect modem setting.